A new year and a new venture! We're absolutely chuffed to have been awarded the opportunity to set up shop in the Wood Street Indoor Market in Walthamstow. 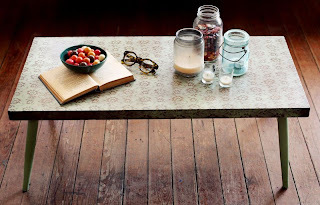 We won our space through a competition and out of 140 applicants we managed to bag ourselves a very nice little space. Actually it's a very nice large space! 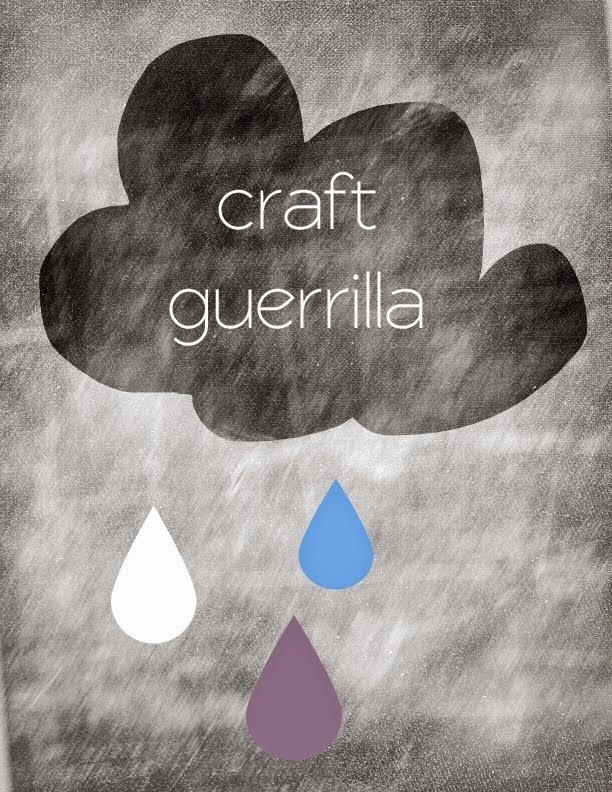 Craft Guerrilla will open its shop in early February with the grand opening on the 11th of February which also coincides with the Valentine's fair. It's a short hop and a skip from Vestry House so pop by and see what the new space looks like! 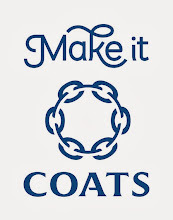 We'll be offering a workshop space which will hold numerous classes and drop in sessions including a weekly "Knit & Natter" afternoon with tea and cake. All weekly events will be listed on our events page soon so keep your peepers peeled! As well as that you'll find sewing machine rental by the hour (we're still awaiting to hear from our sponsors but we hope to offer that real soon!) 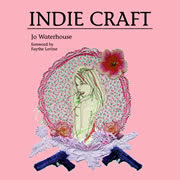 and a little boutique area with a selection of illustrations, zines, craft packs and designer maker items which will be available to purchase. Lots of fab new designers and indie businesses are joining the already established market traders so it's a very cool and contemporary mix ranging from second hand bric a brack and clothing shops, a 78 gramophone records shop, illustrator and artist galleries, vintage vinyl, cafés, cake shops, a restaurant, a few dress makers, framers, florists, antiques and collectables, a revolving exhibition space and many more! The Craft Guerrilla shop is situated through the side entrance and we're in unit 37. 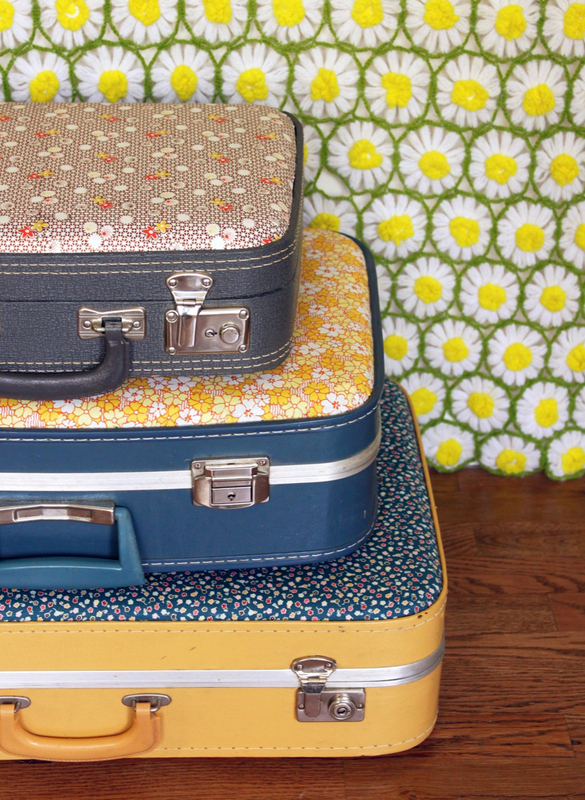 Direct trains from London Liverpool Street and a short walk from Walthamstow Central Tube station (Victoria Line). We're so excited about our plans and we hope to see you soon! 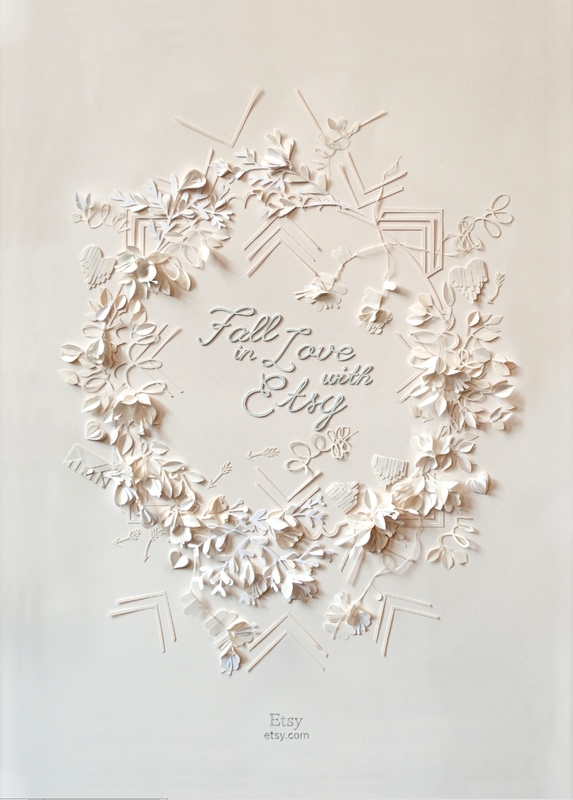 Etsy Labs...Make your Own Valentine! 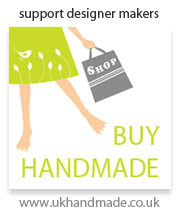 The Etsy crew are joining us on the 11th of February at the Vestry House Museum. Get your valentine the perfect gift and if you haven't one to call your own well then I think we can help by getting you to join in the crafty fun!!! "Don’t have a Valentine this year? Fear not! 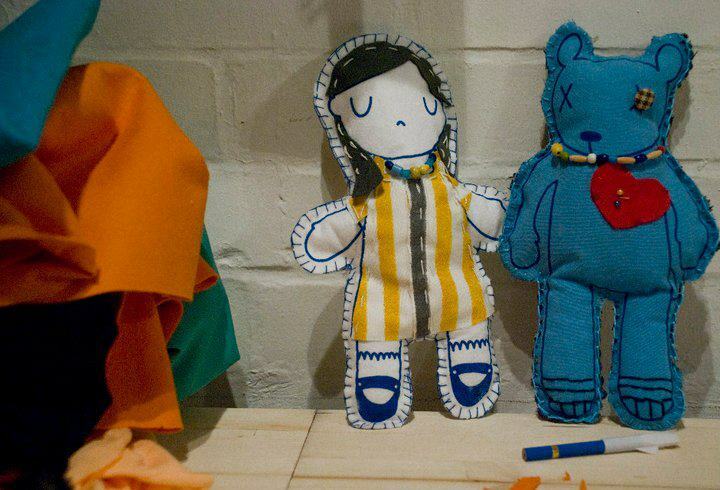 Come make your very own plush boy/girlfriend and customise 'till your heart's content. As an exception, the ones in love are also welcome! Why not customise your doll to look like you or your sweetheart? All materials provided! 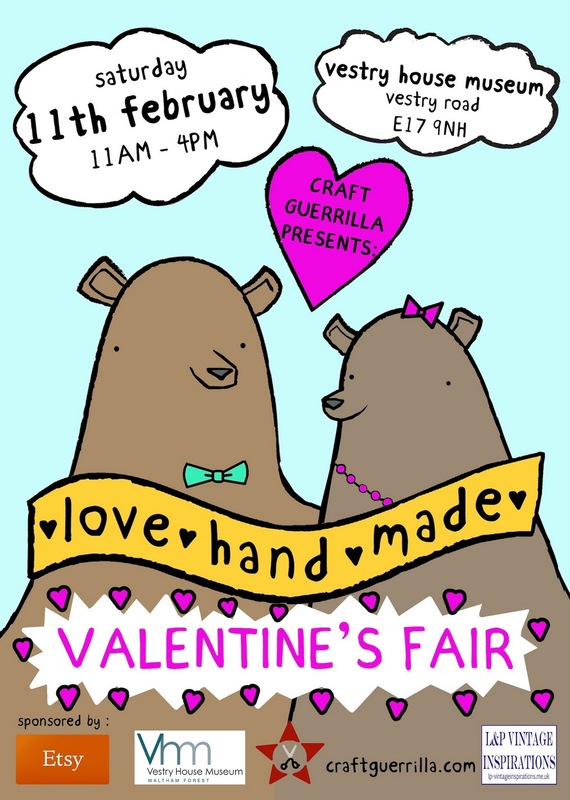 The workshop is taking place at Craft Guerrilla's Love Handmade Fair, where you can peruse heaps of romantically-inspired goodies for the object of your affection. The fair is open from 11am - 4pm, and our workshop kicks off at 12." These are too cute!!! Get your self your own sweet little lady or a honey bunny! We are swooning over "A beautiful mess"! No, no... it's not the state of our kitchen...that is truly a mess but I wouldn't call it beautiful. This web publication is everything and more I'd expect from an all girl team of sassy, fashion loving, craft making blog writers. Packed with posts, interviews, fashion tips, step by step tutorials (like these pretty floral suitcases) and some great recipes too. The Nutella cookies look amazing! I had to stop myself from licking the computer screen. *cough cough* I didn't by the way but it was a close one! Elsie Larson is the brain child behind "A Beautiful Mess" and we absolutely love her blog! Go check it out and keep it in your book mark tab...I for one will visit it again and again. I will definitely be making the lace design table very soon. Thanks ladies, keep up the fabulous work! Have you Zine the news? After almost three years in publication we've taken the difficult decision to call it a day regarding our tri monthly zine...well we're ceasing to offer it in the printed form. I can still remember the beginning of this long lived love affair which started in secondary school and led me to produce my first ever Fanzine. "The scholastic scream" was filled with teenage angst and rebellion. I was a very angry little 14 year old in red patent leather doc martins, purple mohican and heavy coaled panda eyes. Back then we all wore too much eye liner! 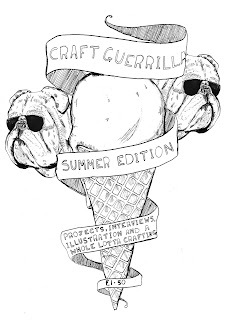 With so much happening at Craft Guerrilla it's just another project which we can't commit to entirely and if you're familiar with what we do you'll know by now that when we do things... we like to give it our all! We'll still be producing it in a PDF format which means we're kinder to trees and it's cheaper to run. 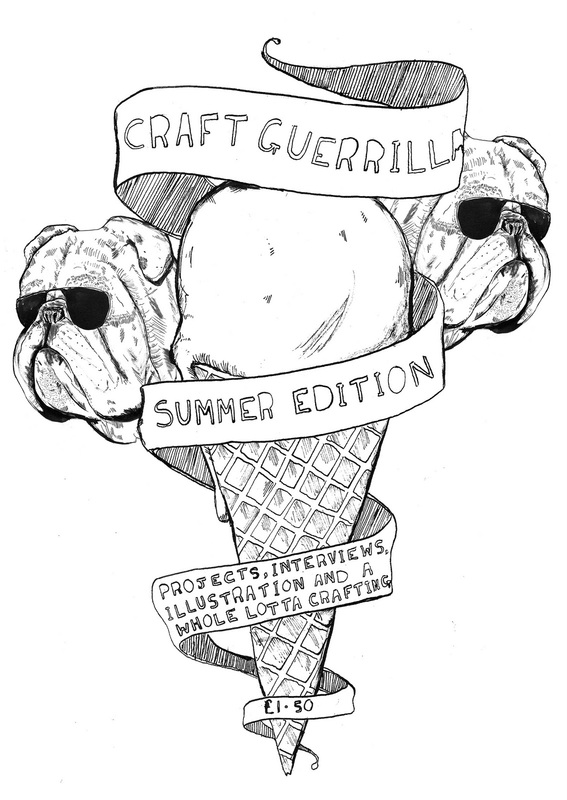 The new version will still be packed with craft projects, interviews, recipes and lots of new illustrating talent. because believe it or not our love of zines will not allow us to give it up completely! If you'd like to get your mitts on the copies we still have available then visit the Guerrilla shop. Extra! Extra! 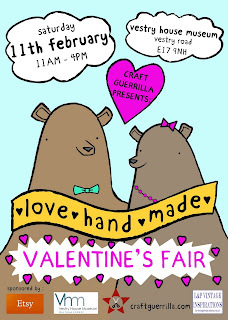 Read all about it: Craft Guerrilla Valentine's Fair! That's right my sweet bundles of craft loving joy this February we're back to the Vestry House Museum for another filled to the brim designer maker fair... AND best of all it's just in time for Valentine's! Because we know how important it is to show the LOVE we've selected a few designers which will set your hearts racing and swooning for all things hand made. So bring yer fella (or good lady) give him a gentle nudge (a hammer might be deployed if he is anything like mine...he does not do subtlety!) 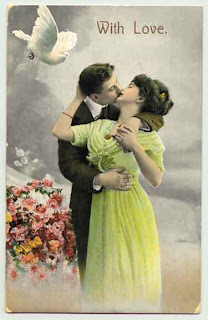 and he might just buy you that special Valentine's love token you've been longing for! There will be tons of love filled hand made items both for boys and girls so if you fancy showing them just how much you care then get your little sweet patooties to the best Designer Maker Fair in the Walthamstow Village Quarter. Also if you haven't that special someone to call your own don't worry because ETSY are hosting a very special workshop for us at the fair: "No Valentine's? Make your own!" 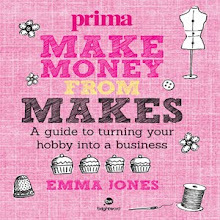 Remember ETSY workshops are free so come bright and early as spaces are limited (starting at 12 noon). 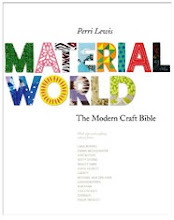 *Please note that this event is a fund raiser organized by Craft Guerrilla in aid of the William Morris Gallery Refurbishment fund so if you are feeling generous and would like to help us make a larger donation then there are "donation boxes" in the museum shop. Show your <3 LOVE <3 and give generously! Hi there my little crafty chums...we do hope you've had a very restful and creative holiday season! We've had a nice little rest but as usual we're chomping at the bit to get back into it. Check out our events page and see what we have lined up... I can feel it's going to be a very CRAFTY NEW YEAR!!! !